With its 283-horspower Pentastar V6 engine, the Grand Caravan is the closest thing to a driving enthusiast's minivan you can buy. The suspension, steering and brakes are in complete harmony, delivering excellent response and good feedback in all driving situations. The V6's low-end torque is so plentiful it feels as though it could tow two Grand Caravans with no problem. Yet, despite all this power, the Grand Caravan still manages EPA city/highway figures of 17 and 25. The thin Stow 'n Go seats may look a bit stiff, but they are actually quite supportive and comfy, designed with special foam cushions that help fight fatigue on long trips. It is easy to drive, its somewhat-wide turning radius makes U-turns and tight parking maneuvers a bit more burdensome. 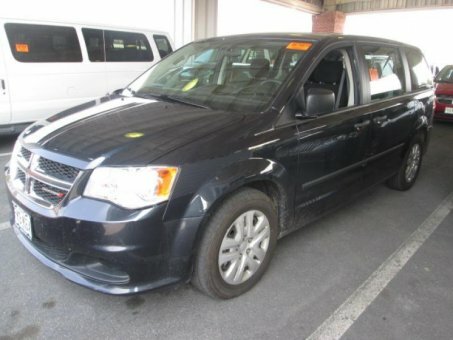 The 2013 Dodge Grand Caravan with a lower price and features that make it the most affordable 7-passenger minivan in America. A rear-seat entertainment package with Blu-Ray-compatible DVD player is offered on R/T and Crew models.